Tuesday night marked the first Saluda River Club “Wine Glass & Art Class” event. 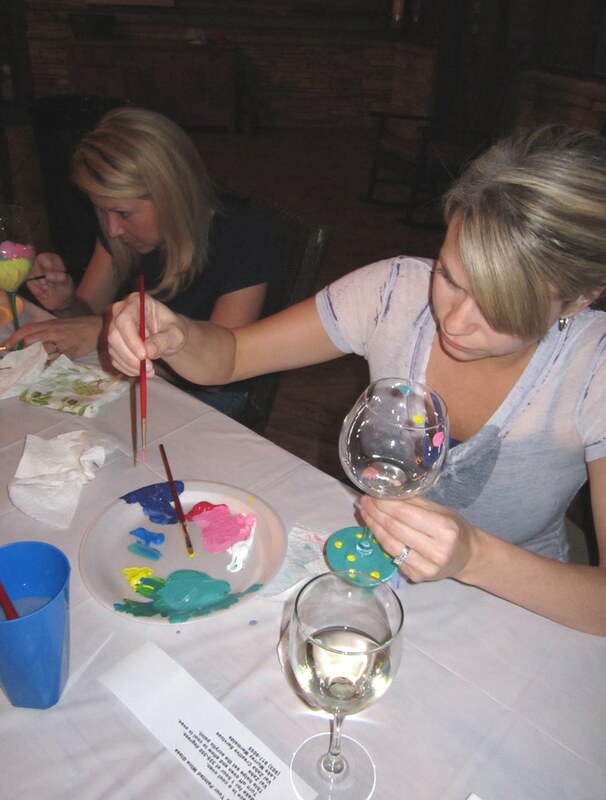 Nine ladies took part in the fun of painting wine glasses and canvases while enjoying their favorite wine. Their one-of-a-kind creations were impressive works of art each as individual as their artist. Hosted by Val Zaba of the Tapp’s Arts Center, the class was held from 7-9 pm at the Chickawa Outdoor Center. The event was such a success that we will be holding another class in June! 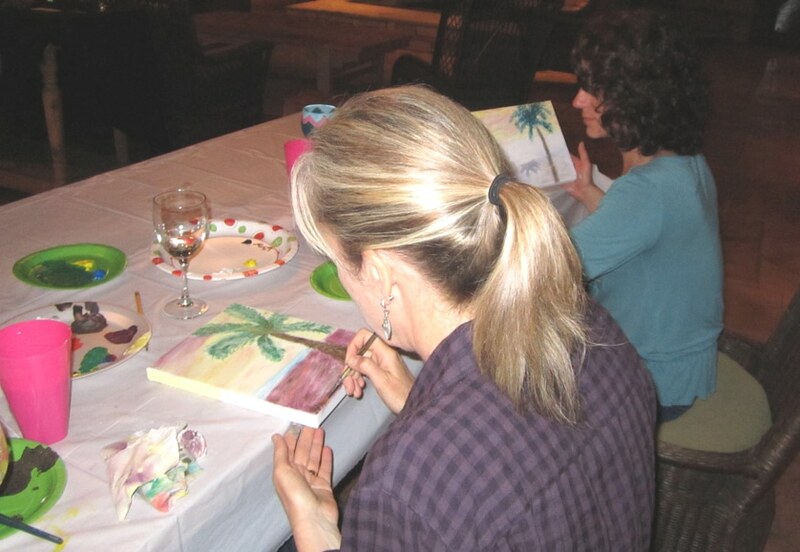 The next event will be “Art Class, Beer Mugs and Wine Glasses”! Paint yourself a beautiful wine glass and have your husband paint his favorite team logo or monogram on a beer mug. Enjoy experimenting with your painting skills no matter your level of talent! For information on our other Saluda River Club events and activities, visit SaludaRiverClub.com. Make the smart move to Saluda River Club.